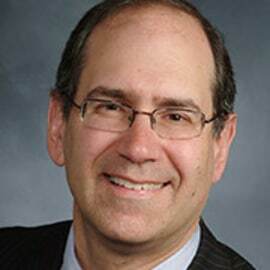 Dr. Joel Stein obtained his undergraduate degree from Columbia University and his MD from the Albert Einstein College of Medicine of Yeshiva University. He then completed a residency in Internal Medicine at Montefiore Hospital in the Bronx, followed by a residency in Physical Medicine and Rehabilitation at Columbia-Presbyterian Medical Center. He was on the staff of Spaulding Rehabilitation Hospital in Boston, MA, where he served as Chief Medical Officer. In 2008 he was appointed to his current roles as the Simon Baruch Professor and Chair of the Department of Rehabilitation and Regenerative Medicine at the Columbia University College of Physicians and Surgeons, Professor and Chair of the Department of Rehabilitation Medicine at Weill Cornell Medical College, and Physiatrist-in-Chief at New York-Presbyterian Hospital. Dr. Stein’s primary clinical and research interests are in the area of stroke and other aspects of neurological rehabilitation. He has been active in research on the use of robotic and other technologies to facilitate recovery after stroke. He has written more than 50 original scientific articles, and over 100 publications in total in the area of stroke and other neurological rehabilitation. Dr. Stein has authored/co-authored two books on stroke for the lay public, and has served as editor of a comprehensive medical textbook on the subject entitled “Stroke Recovery and Rehabilitation” published by Demos Medical Publishing, now in its second edition. Dr. Stein’s clinical practice focuses on stroke rehabilitation, rehabilitation issues in multiple sclerosis, spasticity management, and neurological rehabilitation. He is active in teaching medical students and residents. Dr. Stein has lectured widely on the topic of stroke rehabilitation, and led courses at national and international meetings on this subject.